Back pain can make it difficult to participate in the activities you enjoy on the weekends, especially if sitting at a desk all week exacerbates your symptoms. The highly skilled physiotherapists and back pain specialists, Gregory Trakhtenberg, MPT & Dmitry Shestakovsky, DPT, at Midtown East Physical Therapy in New York City, offer a natural, effective spine treatment program to patients of all ages suffering from spine pain and stiffness. To learn how you can benefit from this comprehensive spine treatment program, call one of the offices or schedule an appointment using the online system. Acute pain from an injury or activity usually goes away with rest and home remedies, such as heat or ice therapies. But chronic back pain often requires a spine treatment program so you can get relief and prevent your pain from becoming debilitating. What treatments are available for my back pain? Physical therapy and exercise, including specific stretches, can do wonders to alleviate your back pain. The team at Midtown East Physical Therapy determines the underlying causes of your back pain and develops a spine treatment plan to specifically address those issues. They evaluate which soft or connective tissues may be causing or contributing to the dysfunction in your spine. How does cold laser therapy work as part of a spine treatment program? Cold laser therapy uses light waves to promote the healing of injured tissue, and can help to reduce inflammation in the soft tissues of your lower back. Reducing swelling is essential for relieving pain and helping you regain full range of motion without discomfort. About the size of a flashlight, the cold laser handheld device uses nonthermal energy to target the tissue below the surface of your skin. Your body absorbs this light energy at a cellular level which promotes repair of damaged tissues, such as muscles and ligaments. The result is less pain, reduced inflammation, fewer spasms, and greater range of motion. Each cold laser therapy session takes just a few minutes, but you may need a series of treatments for maximum benefits. 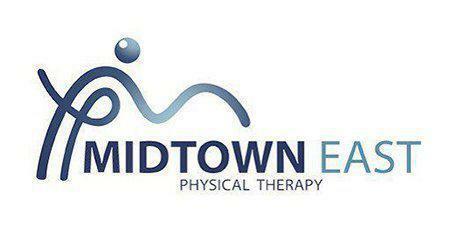 Your physiotherapist at Midtown East Physical Therapy creates a customized spine treatment program that works to heal your muscles and other soft tissue, so you can get back to doing the activities you enjoy. Learn more about the comprehensive, customized spine treatment programs offered at Midtown East Physical Therapy by calling one of the New York City locations or using the online booking tool to schedule a consultation.